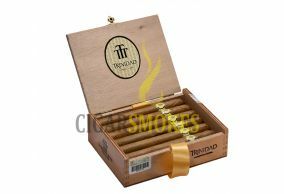 Trinidad cigars are typical Cuban cigars, though the definition of â€˜typical Cubanâ€™ is still a mystery. It is this mysterious nature of the taste and feel of Trinidad Cuban cigars that made them to be produced exclusively for Fidel Castro. 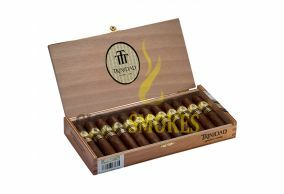 When the world began drawing on the many varieties of Trinidad cigars, it saluted the smooth blend of tobacco with the tinges of herbs, flowers, and bean. These cigars are available in two sizes. One is the diplomatic Trinidad brand that is similar to Cohiba Lancero. Its ring gauge is 38 and length is 195 mm. The other one is the Trinidad Fundador. Its length is the same as Cohibas, but the ring gauge is 40.